The site in Sturmy Close was an underused garage site, owned by the client, Saffron Housing Trust. The housing trust had a need to increase the provision of affordable housing in the area. Two other architectural practices had looked at the site previously and each time they had been unsuccessful in gaining planning permission for the various options they had submitted. Fusion 13, working with Saffron Housing Trust and the local planning authority, came up with a number of options to address the planner’s comments of why a scheme would not be acceptable. These included: overlooking, car parking layout, impact on surrounding neighbours and loss of existing car parking spaces. 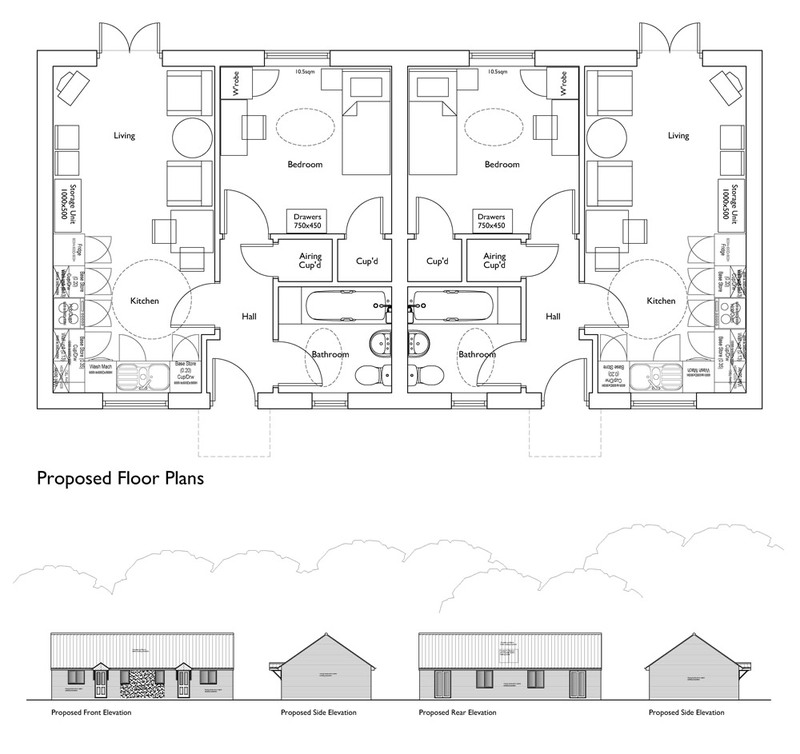 By addressing all the local planning authority’s comments, together with meeting the client’s requirements Fusion 13 were able to come up with a proposal for two one-bedroom bungalows, each with parking that achieved full planning approval in April 2017.